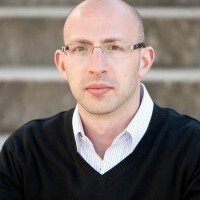 Michael Zipursky is an author, lead-generation and marketing consultant, and entrepreneur. His work has appeared in the Financial Times, FOX Business, Maclean's, HR Executive, MarketingMag, Management Consulting Journal, and in several other media and publications. He is the author of Profitable Relations: How to Dramatically Increase Your Profits By Giving Customers What They Really Want, the Consulting Success System: How to Become a Successful Consultant, and the Masters of Consulting Interviews. Michael runs Consulting Success, the leading consulting resource for people that want to become successful consultants. The site has over 700 articles, interviews, guides and products and serves 30,000 readers each month from around the world. He has worked with a wide range of clients, including Panasonic, the Royal Bank of Canada, Best Buy, Canada Post, Dow Jones, Financial Times, Sumitomo, and others throughout North America and Asia in over 23 industries.